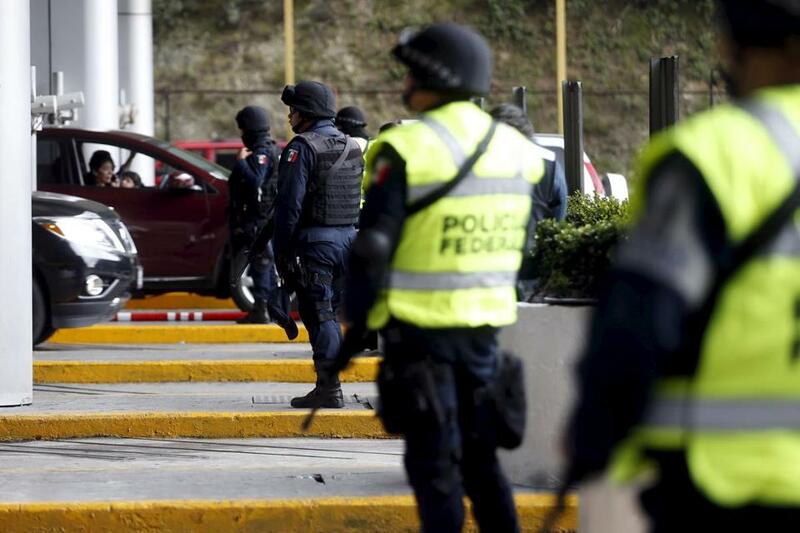 Police officers stood guard as they carried out inspections at a checkpoint in Mexico City on Tuesday. Sentencing has been postponed for the cousin of one of the world’s most notorious drug lords. Jesus Gutierrez-Guzman was to be sentenced Monday in New Hampshire. The Concord Monitor reports that after a brief meeting with lawyers and a federal judge, sentencing was postponed for 45 days. During a sting operation, Gutierrez-Guzman told FBI agents he represented his cousin, Joaquin Guzman, known as ‘‘El Chapo,’’ leader of Mexico’s violent Sinaloa cartel. Gutierrez-Guzman pleaded guilty to planning to distribute more than 1,000 kilograms of cocaine in the US. Guzman escaped prison in 2001 and ran the enterprise from hideouts across Mexico, earning billions of dollars moving tons of cocaine. He was recaptured in February 2014 but is on the loose again after escaping Saturday from Mexico’s most maximum-security prison.